Lincoln Certified. Sunroof, NAV, Heated Leather Seats, 3rd Row Seat, Alloy Wheels, Turbo, Quad Seats, WHEELS: 20 ULTRA BRITE MACHINED ALUM... POWER MOONROOF, Tow Hitch, ENGINE: 3.5L GTDI V6. CLICK NOW! Leather Seats, Third Row Seat, Navigation, Quad Bucket Seats, Power Liftgate, Rear Air, Heated Driver Seat, Heated Rear Seat, Cooled Driver Seat, Back-Up Camera, Running Boards, Premium Sound System, Satellite Radio, iPod/MP3 Input, Onboard Communications System. MP3 Player, Rear Seat Audio Controls, Privacy Glass, Remote Trunk Release, Keyless Entry. POWER MOONROOF, ENGINE: 3.5L GTDI V6 (STD), WHEELS: 20 ULTRA BRITE MACHINED ALUMINUM 17 E-coated steel spare wheel (STD). 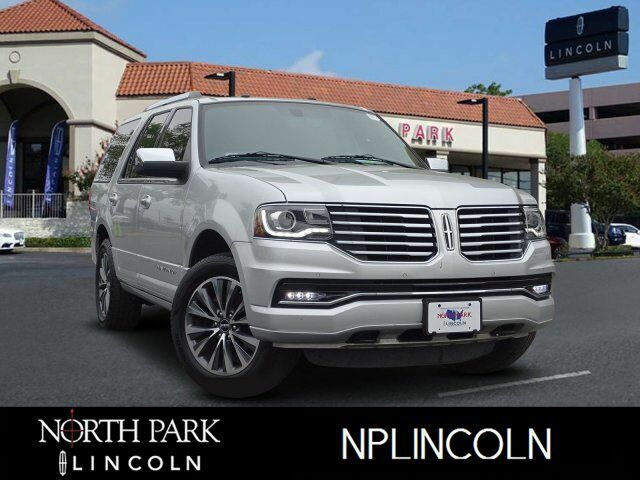 2017 Lincoln Navigator with Ingot Silver Metallic exterior and Ebony interior features a V6 Cylinder Engine with 380 HP at 5250 RPM*. CARFAX 1-Owner Meticulous 200-Point inspection by factory trained technicians, The confidence of a 6-year/100,000-mile comprehensive warranty coverage, Luxurious by standards, Certified by Ours, Complimentary 24/7 Roadside Assistance, The Assurance of a vehicle history report, 24-Hour Customer Assistance, Several Warranty Upgrades Available Edmunds.com`s review says When it comes to sheer size and how it translates to interior space, the Navigator is almost unrivaled. Even in the standard-wheelbase version, the third row feels remarkably spacious..